This classic film is the second installment in the original Star Wars trilogy. Written by George Lucas and directed by Irvin Kershner in 1980, "Empire" takes the galaxy of Star Wars to a whole new level. Of the three films this one has the most character development. Luke learns the way of the force from Mater Yoda, Han Solo & Princess Leia become best friends, and R2D2 & C3PO are forced to lean how to live apart. This is the darkest of the three films and just about everything goes wrong for the protagonists. 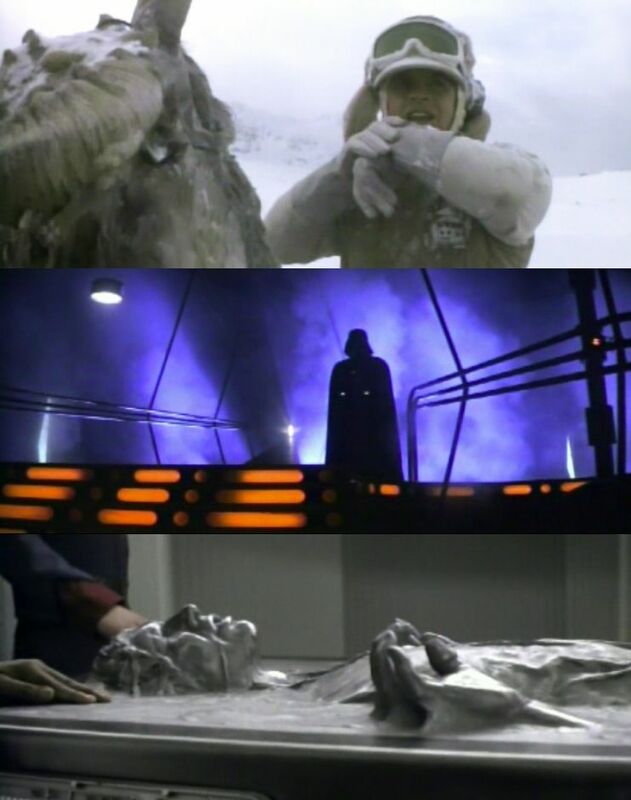 The rebellion's secret base is discovered & attacked by the Empire, the Millennium Falcon is constantly falling apart, and the film ends with Darth Vader cutting off Luke's hand.